A woman is celebrating Mother’s Day after midwifery staff helped her to bring her newborn son into the world safely. 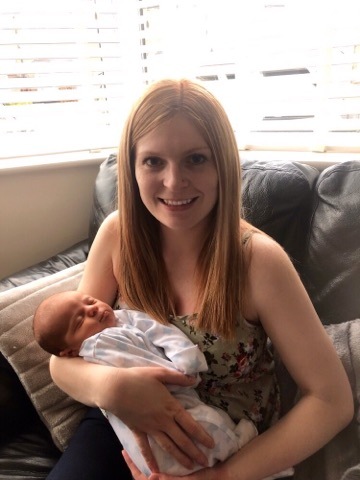 Kelly Goodrum, 23, came to the Antenatal Day Unit at Hull Women and Children’s Hospital when she noticed reduced movements from her unborn baby. Tests and checks were carried out on Kelly and her baby and, reassured, Kelly went home before returning to hospital that weekend to have her baby. Now, after baby Leo’s safe arrival in time for Mother’s Day, Kelly has thanks staff at the unit and on the Labour Ward. She said: “I was really nervous and anxious because it’s not nice to think your baby isn’t very well but you can’t do anything about it. “But all the midwives I dealt with were just so lovely and reassuring. 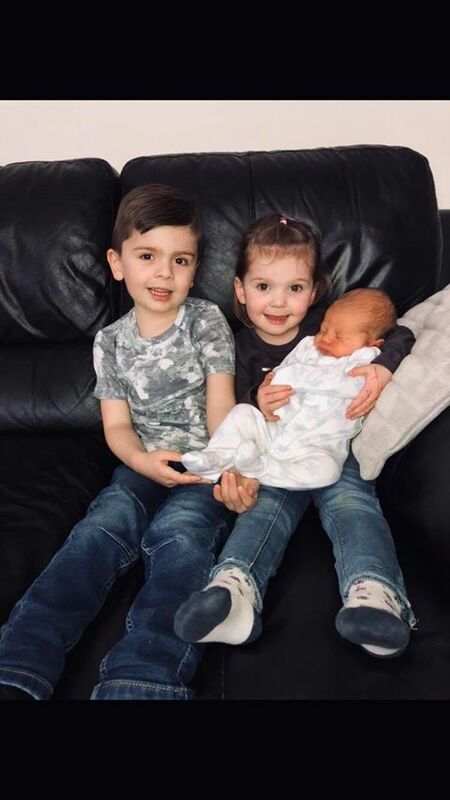 West Hull couple Kelly and husband Adam have two other children – Ethan, four, and two-year-old Zara – and were excited as the day their third child was due approached. However, Kelly started noticing the baby wasn’t moving around as much as before on March 14, around three weeks before her due date. She said: “I had experienced reduced movements when I had Zara a few weeks before she was born and her heart rate went up to over 220 beats per minute when I was admitted to the labour ward to have her. Between 17 and 28 weeks of pregnancy, women can contact their community midwife to discuss any concerns they have over reduced movements. However, after 28 weeks, women can call 01482 382729 to get help and advice from the Antenatal Day Unit seven days a week without having to come to Hull’s Emergency Department. Kelly rang the unit and was asked to come in so staff could check on her baby on the Thursday evening. Midwife Sue Kitching carried out tests to ensure Kelly was not suffering pregnancy complications and her baby’s heart rate was showing as normal on the monitors. Kelly said: “Sue was lovely. She was caring, empathetic and listened to my concerns. Nothing was too much trouble for her and I felt both me and my baby were in the best hands. Kelly went home and returned to the hospital on Friday, where she was admitted onto Maple Ward for monitoring before her waters were broken on the Saturday and she was taken to the Labour Ward. Supported by midwife Jenny Chambers, Kelly gave birth to baby Leo at 7.24pm. Kelly said: “Jenny was very down to earth, reassured me of the procedure and put my mind at ease. She was bubbly but clearly passionate for her job. She made me feel less anxious and nervous almost instantly. “I really feel having such a passionate and caring midwife helped me during the labour process. I felt at ease and knew me and my child where receiving the best possible care she could give us. Kelly has now nominated both Sue and Jenny for Moments of Magic, the internal staff awards run by Hull University Teaching Hospitals NHS Trust to thank staff who go over and above their duties to help patients. Wendy McKenzie, sister of the Antenatal Day Unit and the Antenatal Clinic, said: “Kelly did exactly the right thing and we’re so pleased Leo arrived in time for Mother’s Day.